Gaussian blur is a filter widely used in computer graphics. 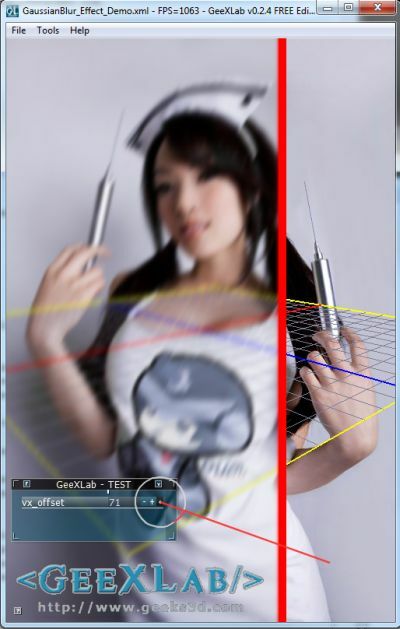 In real time 3D, Gaussian blur is used in many effects like depth of field or bloom. Many years ago, I wrote a tutorial about image filtering with GLSL where I gave an example of Gaussian filter. Few days ago, Daniel Rakos wrote a detailed article about an efficient Gaussian blur with linear sampling. 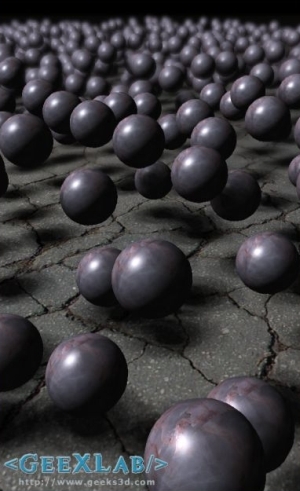 Since I’m always looking for new effects and shaders for GeeXlab, I decided to implement Daniel’s work in a GeeXLab demo. A Gaussian blur effect is typically generated by convolving an image with a kernel of Gaussian values. In practice, it is best to take advantage of the Gaussian Blur’s linearly separable property by dividing the process into two passes. 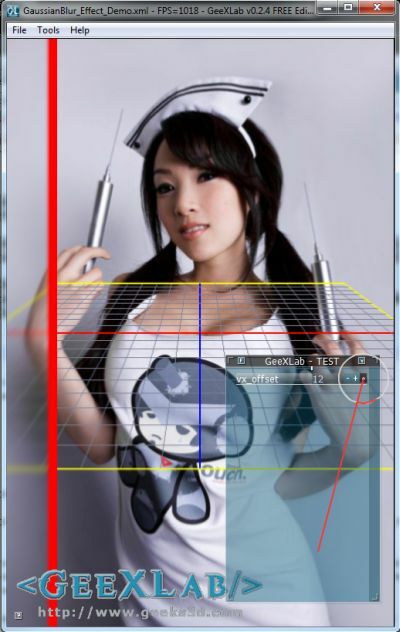 In the first pass, a one-dimensional kernel is used to blur the image in only the horizontal or vertical direction. In the second pass, another one-dimensional kernel is used to blur in the remaining direction. The resulting effect is the same as convolving with a two-dimensional kernel in a single pass, but requires fewer calculations. The vx_offset is controled by the tweak bar and the value is divided by 100: 71 gives 0.71. And what about the background image??? Unzip the demo somewhere, start GeeXLab and drop in the main window the demo source code (GaussianBlur_Effect_Demo.xml). 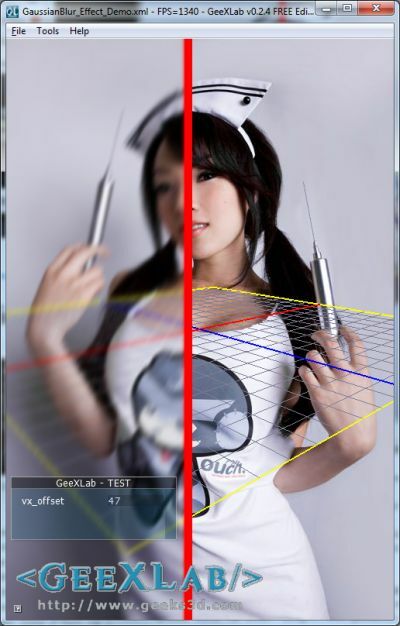 Gaussian blur shaders are localized in the PostFX_GaussianBlur_Lib.xml file. The shortcut [Ctrl+R] in GeeXLab allows to reload the demo once you have modified the source code. The math fact is that some convolution kernel are separable : If a square matrix could be obtained from a row and a col vector, the matrix is separable. Thanks for the separable convolution link. The explanation is simple and clear. I’m glad to see that my work inspired you to write the demo and article! Nice to have this in the collection! Since your post, Daniel’s fixed his code’s weights a bit so that they sum to one. I’d recommend fixing your weights to match his. and the alpha value is blended as well! I see a picture of Linda Le(Vampy bit Me) there. Nice.